What would you do if you could write the story of your life? 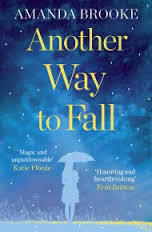 After battling a brain tumour twenty-nine year old Emma thinks she is in the clear, but her world comes crashing down around her when she is told her fight was in vain, and there is nothing more the doctors can do. This book had me captured from the first chapter. The main character Emma has been battling a brain tumour and now she is told there is no more they can do for her. Her family are understandably distraught, but Emma is determined, determined to live her life until the end by writing a book about her dream life. Emma is an inspirational and strong character, I loved her from start to finish and as we watched her on her journey it soon became difficult to remember she was a fictional character as she felt so real. The emotions of both Emma and her loved ones were portrayed so well which made the book even more moving and it felt like we were saying goodbye to a loved one. I found this book hard to put down, in fact if I didn't have to go into work over the weekend I would have carried on reading and would easily have finished this book in one sitting. The book really makes you put things into perspective and I am sure this book will pull on every readers heartstrings. I had a lump in my throat whilst reading parts of this book. It was very delicately written and I I will definitely be recommending this beautiful read. A moving, heartfelt read that will have you captured from start to finish.